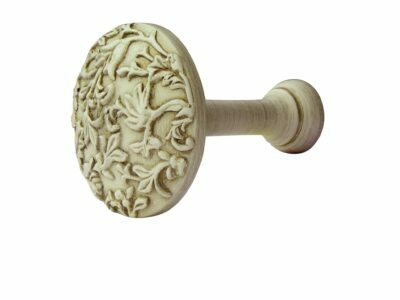 The Modern Country curtain pole range is a collection of stunning hand finished curtain poles available in a 45mm or 55mm diameter in a choice of painted and natural washed & waxed finishes. 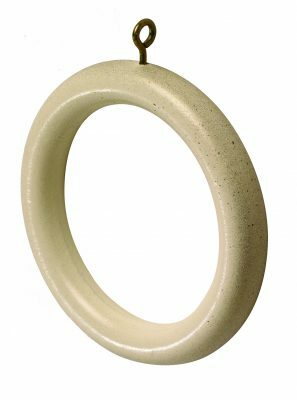 The variety of colours and finial styles available gives them the versatility to complement a variety of interior design styles and colour schemes. The 55mm looks very impressive in large rooms and works well at tall ceilings. The wider diameters balance heavy fabrics or heavily lined curtains to give a sophisticated finish to your room. 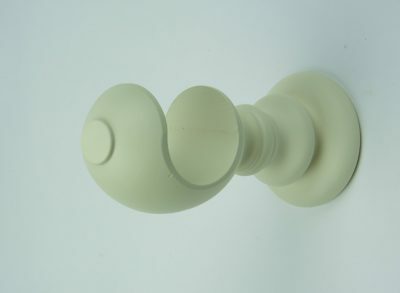 Please watch our YouTube video for more information on the curtain poles and to see the colours in more detail. 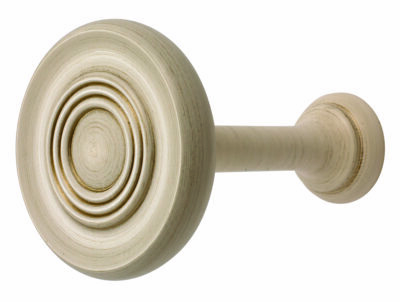 This 45mm pole comes as a complete curtain pole set including pole(s), 2 sugar pot style finials, wooden cup brackets and 10 rings per metre. Metal brackets are available should you prefer this look. If you would like a quotation for the metal brackets please call us on 01590 615775 or email sales@thehomeofinteriors.co.uk. 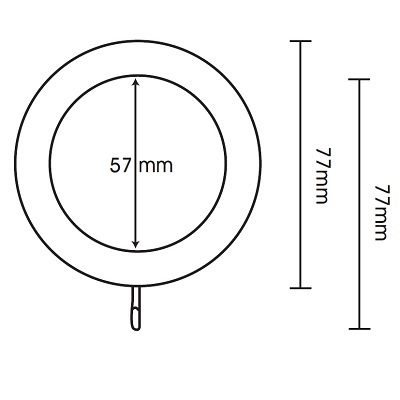 Extra rings are available to purchase separately. 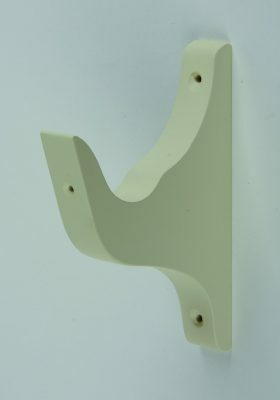 Co-ordinating recess brackets and holdbacks are also available to complete the look. Please see accessories below. Poles up to 300cm are supplied in one piece which means you can put 2 together giving a maximum width of 6m. This is a great solution for extra wide windows or bi-fold doors. Poles 300cm and above are supplied with a centre bracket. This pole is also available as a corded curtain pole. Please see corded product for more details. 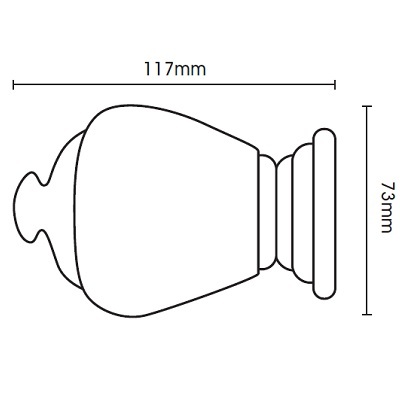 Available in: Available in a 45mm and 55mm diameter. Also available as a corded pole. Please see separate product listing. 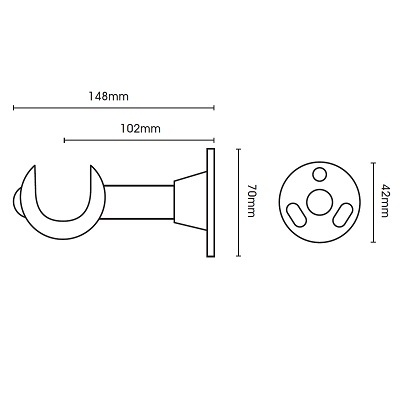 Bracket Text: Cup brackets are supplied with these pole sets as standard, however we can substitute your brackets for recess brackets, architrave brackets or metal brackets if you prefer. Please view the bracket options below and call us on 01625 449039 to discuss your requirements.